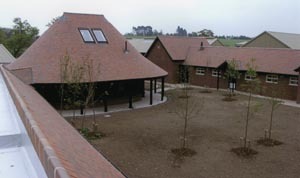 The client's brief was to include a facility for the education and enlightenment of both children and adults at the new Animal Centre at Gonsal Farm. 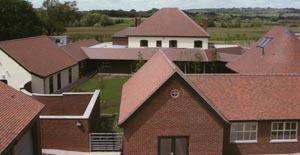 The design criteria required a striking building of character, different in shape and style to the numerous other buildings on site. 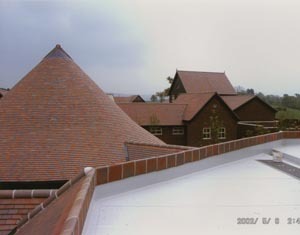 One of the principal challenges encountered with the curved roof, was the junction of numerous rafters at the start of the radial members to the curved ends. 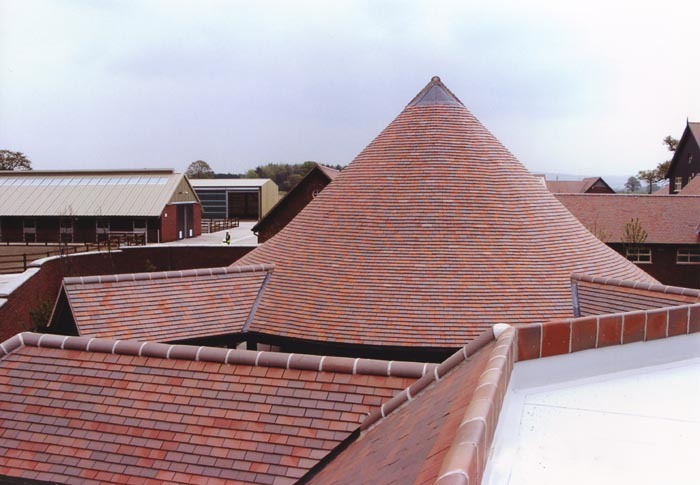 Designing curved roofs requires a product where roofers are not required to hand select tiles as this would add considerable time to the roofing process. Dreadnought tiles were selected for their consistent quality control and dimensional stability not present in handmade tiles. This consistency ensured the same degree of curvature to both ends of the building. The unusual shape and roof structure contributes substantially to create a building, which is not only warm and inviting but also of interest to all who visit there.